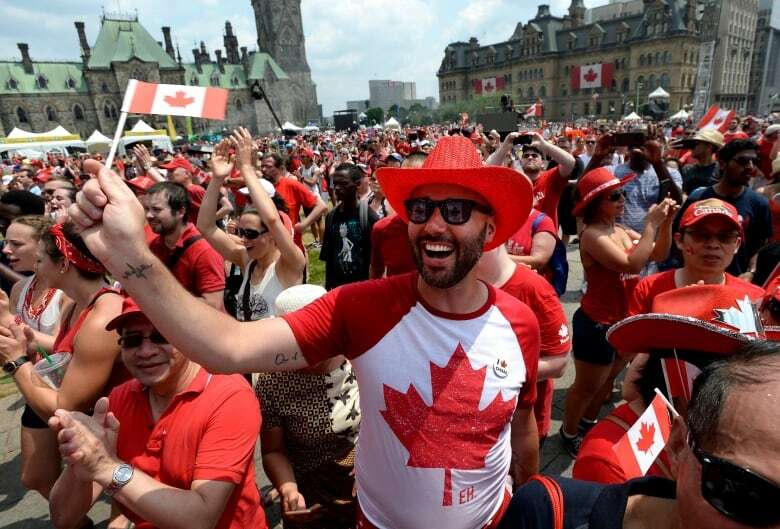 Officials with Canadian Heritage have warned Minister Mélanie Joly that the planned renovations to Parliament Hill's Centre Block will mean fewer people can celebrate Canada Day on the hill next year. The upcoming construction on the Parliament buildings could put a crimp in party planning for Canada Day over the next few years. Officials with Canadian Heritage have warned Minister Mélanie Joly that the planned renovations to Parliament Hill's Centre Block and East Block buildings will eat into the available space to host the annual celebration, according to a memo obtained under access to information law. The construction project is no simple reno. The work on Centre Block — known for its celebrated Peace Tower and home to the House of Commons — will take close to 10 years to complete. "As a result of the construction, the footprint originally available for Canada Day will be significantly reduced ... leading to a reduction in the original crowd capacity by 2020," reads a February 2018 briefing note. The note suggests moving some of the July 1 programing off of Parliament Hill, but staff don't seem to have a Plan B yet. According to the briefing note, neither the Canadian Museum of History grounds nor Major's Hill Park are big enough to hold the expected crowds. Joly's staff did point out that Jacques-Cartier Park, across the river in Gatineau, Que., could be available for 2019's celebration, "which will help increase programming offers in Quebec at that time." The team has put together a three-year transition strategy, but most of the details have been redacted. Staff did stress that, throughout the transition, Parliament Hill will still be used for protocol activities due to its "iconic" image. A spokesperson for Canadian Heritage said the plan is still to hold the 2019 party on the Hill. "The potential relocation of the event site for following years is to be confirmed," said Eric Girard in an email to CBC. "Canadian Heritage is monitoring construction planning and progress on Parliament Hill, and assessing the possible impact on programs. No decision has been made. Heritage staff also flagged another potential problem: they're about to lose their "ideal" spot for launching the Canada Day fireworks. Beginning in 2020, the National Capital Commission will be redeveloping Nepean Point, a hill located behind the National Gallery of Canada. Heritage "needs to take advantage of its current availability to facilitate any experimentation with alternate fireworks launching locations in the next two years," wrote staff members. The NCC refused to comment on the proposed transition, even though the agency oversees many of the parks in the Ottawa area. "Since September 2013, responsibility for Canada Day initiatives rests with the Department of Canadian Heritage," wrote Mario Tremblay, a communications advisor with the NCC, in an email. 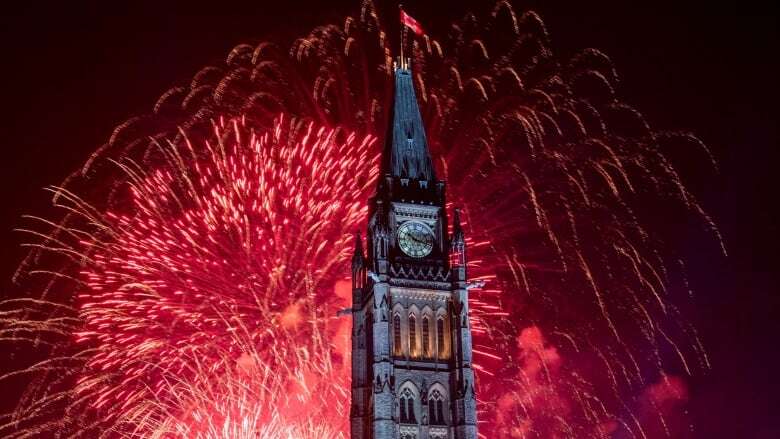 The city of Ottawa said it will "continue to work in tandem with National Capital Region partners to ensure safe and successful Canada Day celebrations." Canada's sesquincentennial party attracted nearly 365,000 people to Ottawa. Most of them visited Parliament Hill at some point during the day, says Heritage. Of course, if space remains an issue next year, officials could just hope for a repeat of this year's scorching heat. At one point during the recent Canada Day events, high temperatures and humidity had driven all but 3,500 merrymakers from the Hill.